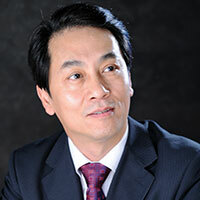 Dr. Nan-Qi Ren, the Professor of Harbin Institute of Technology (HIT), is the Vice President of HIT and Director of State Key Laboratory of Urban Water Resource & Environment. He is the Member of China Academy of Engineering, the Chairman of Technical Expert Committee of Sponge City Construction of Ministry of Housing and Urban-Rural Development (MOHURD), the Director of Discipline Evaluation Group of Degree Committee of State Council, the Fellow of International Water Association (IWA), the Vice President of China Society of Environmental Science, the Vice President of China Society of Energy and the Executive Director of China Society of Civil Engineering. Research interests focus on urban water resources and water environment improvement strategies, biological wastewater treatment process, technology and equipment, theory and technology for resource and energy recovery from wastes, environmental microbial system biology and ecology etc. Has gained 4 National Science & Technology Awards, Awards of Ho Leung Ho Lee Foundation, published over 600 papers, 12 books, and obtained 61 granted patents.